There are many mistakes that can be made every day when employees are tasked with keeping track of important records and documents for your business. Not properly caring for your business’ documents can be a very costly and time consuming. There is some good news when it comes to mistakes that are made in records management. Most of them are fairly common and are relatively easy to prevent. Here’s a list of the most common mistakes and how to mitigate the risks associated with the mistakes. Keeping excess records is always a problem. If documents are sitting around after their usable life it can create a treasure trove of information that should have been destroyed but instead is now a large liability. A retention schedule will help your business keep records that are required by law or best practice while helping get rid of documents that are pasts their useful life and are now a liability.Curious about what records retention regulations are? Check out our list of records retention guidelines by state. Storing important records on site within the walls of your business is a risky proposition. Most businesses are not built with the security that is necessary to protect sensitive information from criminal behavior. Off-site document storage facilities provide the security necessary to protect your documents while also providing the necessary access to your documents. With more and more identity theft occurring throughout the world, federal and local governments are stepping up their regulation of sensitive documents and records. Keeping up with regulations as they become available will help your business stay in compliance and avoid any potential fines or sanctions. Many times when embarking on a document management or storage project, the physical documents have to be transported from one facility to another. Many document managers think that the job is done when the business that they have hired to do the job picks up the documents. What isn’t always understood is that the documents will likely touch many hands before the project is actually finished. When many other hands are handling documents, there has to be a secure chain of custody all the way through the process. Make sure that your document management provider shows the secure chain of custody. Document management solutions seek to provide insurance against the fact that your paper documents are easily destroyed. Many companies get in the rut of thinking that their documents are automatically backed up by their document management provider without verifying that the backup is actually occurring on a regular basis. If anything were to ever happen and the backup was not actually occurring when it was supposed to, valuable data will be lost. Check out some tips for ensuring your backup records remain safe. With computer memory capacity getting larger and larger, external storage devices have become more and more popular for backing up data. The problem with backing up data on external storage devices like USB drives and external hard drives is that they can easily be stolen or lost. 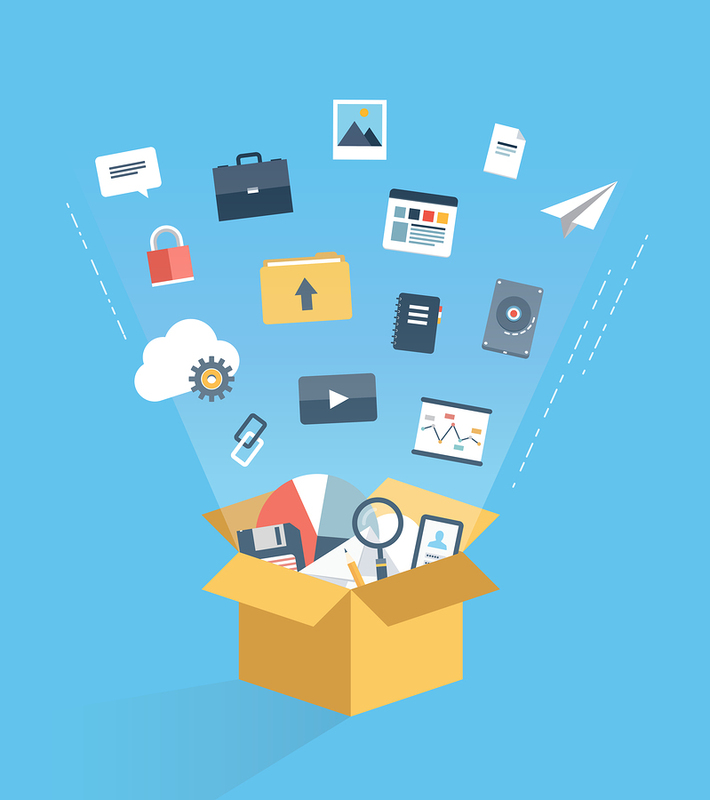 Using a cloud document management system will allow the storage necessary but still allow you access like it is on an external storage device. Need Quotes on Offsite Document Storage? Record Nations Can Help! Document storage and management can be one of the most challenging problems to solve for any company. The good news is that they are options available to help navigate through the challenges. Having a secure, efficient and reliable document storage and management strategy is key to keeping any company running smoothly. If you are interested in learning more about our document management or document storage services, fill out the form to the right, or give us a call at (866) 385-3706. We would be more than happy to answer any questions that you might have.